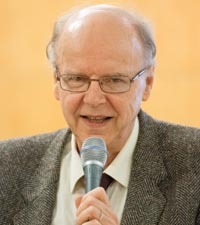 Pekka Reinikainen is a retired medical general practitioner from Helsinki, Finland. He studied medicine at the University of Montpellier (France) and believed evolution at that time. Through his studies of biochemistry and anatomy, his eyes were opened to the fantastic world of the human body. This started a process that led him to know the Creator, Jesus Christ. Pekka is on the production team of Luominen, the Finnish language version of Creation magazine, writes books, produces TV-programmes and gives lectures on creation. He is also a member of the Finnish Medical Association Council.